Glutathione is your body’s most powerful antioxidant and has even been called “the master antioxidant because it resides inside every cell in your body and protects them and maximizes the activity of all the other antioxidants including vitamins C and E, CoQ10, alpha lipoic acid.” It removes toxins from your cells and protects you from the damaging effects of radiation, chemicals, and environmental pollutants. Antioxidants are critical for eliminating free radicals from your body that damage cells and prevent regeneration and repair of damaged tissue and are anti aging. Because free radicals are so destructive, cells have a network of defenses designed to neutralize them and Glutathione is very important in this line of defense. As you age, your body’s ability to produce glutathione decreases. Enhancing glutathione production may strengthen your immune system in a way that will shield you from many of the adverse effects of aging. Alpha lipoic acid supplementation is known to regenerate glutathione and also helps to regenerate vitamins C and E so that they remain active longer in your body. Whey protein is the top food for maximizing glutathione. Ideally it should be cold pressed derived from grass fed cows, and free of hormones, chemicals and sugar. Quality whey provides all the key amino acids for glutathione production (cysteine, glycine and glutamate). Raw milk products, raw eggs and meat are good sources but this comes with risk.It is almost entirely absent in pasteurized dairy products. Fresh fruits and vegetables such as spinach, asparagus, avocado, squash, okra, cauliflower, broccoli, walnuts, garlic and tomatoes have the highest glutathione per serving, but once cooked, values become negligible. . The herb milk thistle is an excellent source of the antioxidant compound silymarin, which may help to prevent glutathione depletion in the liver. Glutathione is crucial in the liver for detoxification and can become depleted from acetaminophen (Tylenol), alcohol consumption, and general toxic overload. Curcumin may also be useful for increasing glutathione levels. To keep your health and wellness and quality of life at it’s best, keep glutathione levels high by increasing factors that boost your glutathione and decreasing factors that lower it. 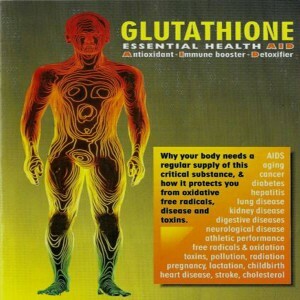 The things that deplete your glutathione the fastest are chemicals, toxins and sugar. Lorraine Maita, MD is an award winning physician, speaker and author of “Vibrance for Life: How to Live Younger and Healthier”. She is an expert in anti aging medicine, bioidentical hormone replacement, weight loss, nutrition, supplements and executive health. She has a private practice in Anti Aging Medicine howtoliveyounger.com in Short Hills, NJ. You can live younger and healthier; Click Here to Get my Best 7 Tips on How to Live Younger and Healthier!